Rt. Hon. 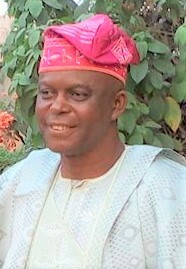 (Amb) Adoga Onah is Deputy Chief Whip, Benue State House of Assembly. The second term-serving lawmaker representing Oju 1 State Constituency doubles as House Committee Chairman on Health. Appointed recently as Chairman Committee on Strategy and Communication of the Atiku/Ortom Presidential Campaign, the lawmaker hosted the executive editors of some media outfits including JAMESIBECHI.COM on Tuesday in his Makurdi home to a chat. How do you feel being appointed into the Atiku/Ortom campaign team? I feel highly good being an Igede man from Oju/Obi axis to be in the pilot of the affairs of Atiku/Ortom Campaign Organization. I feel it is a very big task. Throughout my political career, from 1996 till date, this seems to be the most tasking of all assignments that I have to do and I pray that by God’s grace I will succeed. What will you bring to the table to ensure the electoral victory of Atiku during the elections? Incidentally I am Director Communication and Strategy in the Atiku/Ortom campaign organization. You know strategy is like war, you are not supposed to disclose all your tactics of war for the public or else the opponent will use them to finish you. As at this level, I may not be able to disclose everything. I believe very seriously that the grass cutter has already paved the way for himself before the D-day and that is the Atiku himself. 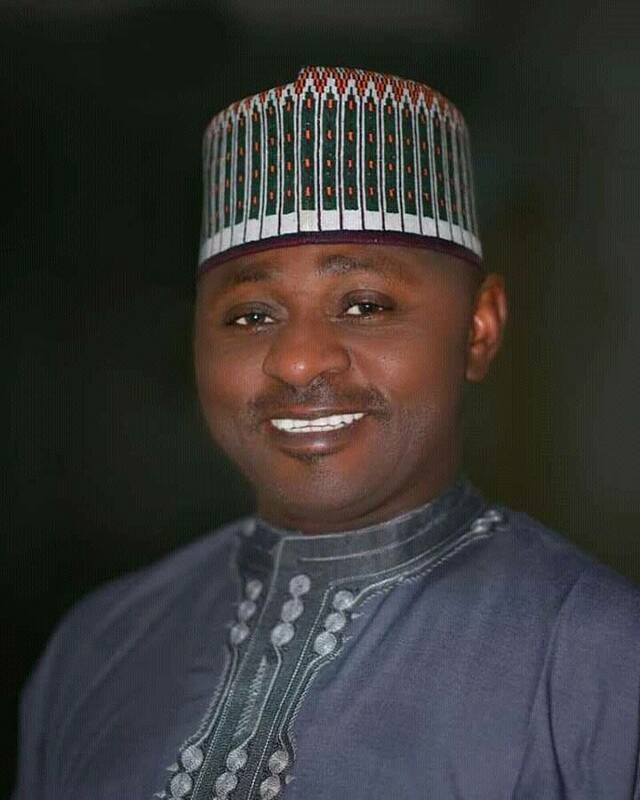 He has done a lot, he is very popular, he is one Hausa-Fulani man who is well grounded in every sphere of life across Nigeria and that alone has paved way for his acceptance all over the country. I believe very strongly that Atiku as a candidate ab initio is a success. As per the strategies we are going to use to make him succeed, as we go into campaign I will disclose them. Incidentally we had our first meeting yesterday and then we are yet to be officially inaugurated as a campaign organization. So I wouldn’t like to say anything concerning the presidential election yet because it will be as if I am leaking our strategy. I will do that in due course. What is the scope of your appointment as the chairman of the Communication and Strategy Committee of the campaign; is it only within Benue or the entire federation that you will operate? If you see how the structuring of PDP campaign looks like, we have decided not to make any campaign organization for a particular election. Ours’ starts right from the federal level down to North Central, down to the state, down to the senatorial zone and then down to the House of Reps and also House of Assembly. Instead of setting campaign organization for every election we are not doing that this time. This will help save cost. That is why I said that this assignment is very tasking in the sense that you have to run and fight from the top right to the grassroots and to the polling units. With the number of groups under the Atiku Abubakar Cambpaign Organisation running into several hundreds, don’t you think that proper coordination and sharing of logistic materials might pose a problem to the detriment of your principal? If you are not accepted by people volunteer groups will not even come up to fight for you. The fact that there are so many groups volunteering here and there for Atiku shows that he has very wide acceptance in this country. The more the groups the better. I know out of ten groups only about five or six are genuine; the rest mainly come to fight for funds or logistics; we understand but be that as it may we believe very strongly that if ten groups stand out for Atiku and six are genuine it’s success. So as per the management of the group, we discussed that yesterday and it’s going to come up as a very serious issue and we will be able to know. In 2015 when PDP lost election it was the same PDP who plotted the failure of PDP in the election because there were so many groups collecting money using the money to fight PDP. So, this time around, as the director of the campaign strategy committee, we are going to be very careful how we handle so called groups. We know that it’s not all of them that are genuine. As a two-time House of Assembly member, what can you point out as your major achievement? My election in 2011 was like a revolution in Igedeland. It was an election that the very aged people came out with sticks working, supporting to defend; it was an election that the disabled came out with clutches to come and defend, it was an election that the less-privileged all said “we are going to die if this man is denied this mandate” and that triggered me to serve the people selflessly. I knew what my colleague were doing when they were sworn in and they have access to money many of them were building lots of houses and doing all sorts of things. 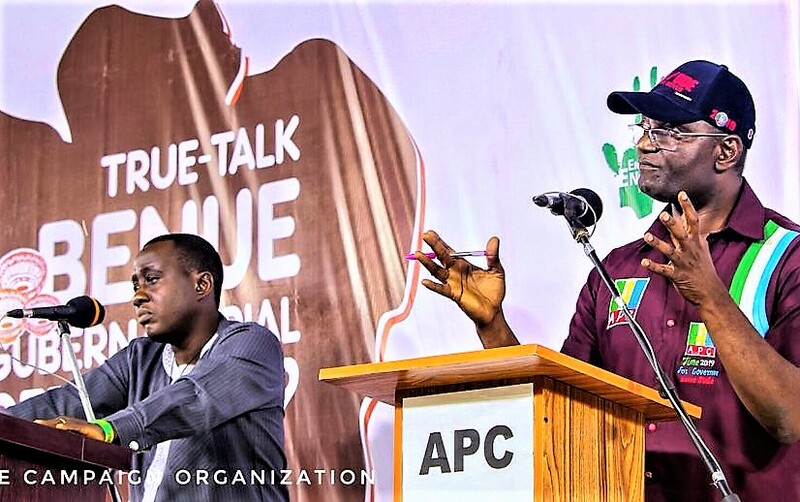 I felt the kind of sacrifice Igede people did for me I should pay back and that’s why throughout my first tenure after funding election tribunal cases for several months and spending millions I still have to grade roads, build boreholes, donate transformers, give scholarship to students, use my NGO, ‘Egbede Youth Foundations’, to help the widows and orphans. I used to give loan interest-free to widows to help them set up small scale businesses and also to school fees for some orphans free of charge. I also add to a lot of organizations that I feel are from Igede land and have very good future and also I was able to help two or three talents from Igede land out of the country because I saw that they were very intelligent and they needed someone to push them. I used my NGO to connect them and they were able to go out of the country and develop themselves fully. These are the few areas that I felt I have done well in terms of infrastructural development and other developments of the Igede people. Then at the level of the House, the Igede people were treated like the downtrodden. 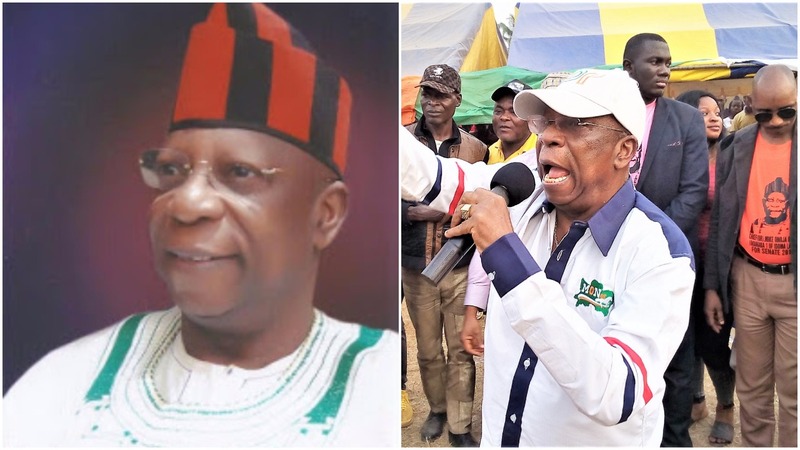 There are three major tribes in Benue, the Tiv, Idoma and Igede and because the Igede man was sitting at the lowest level of the tripod, it felt like the Tiv man was oppressing Idoma man, the Idoman man in turn was oppressing the Igede man and we have a lot of disadvantages as a result of that. So we fought seriously with my colleagues then and NTA allowed the three major languages of Benue to be spoken during the news, and we also insisted that at Government House the two major tribes having the statue when entering the Government House, the Igede man was there too and it became three and today the whole world knows and I think Governor Ortom symbolizes it through the Nigerian colours they are wearing today; that’s the Tiv, Idoma and Igede colour and the national colour. We passed a law at the level of the House in the Seventh Assembly, making Igede, Idoma and Tiv languages to be studied up to the PhD level in all schools in Nigeria and abroad. We have also passed a bill to modify some of the marital laws – in Igede where somebody is passing and you just carry a gun and shoot, without the consent of the girl and you marry her. So, we modified some of this dirty customs and we are also trying to do something about burials and bride prices that are too exhorbitant and also spending so much during burials. That is ongoing; we hope that before the end of Eight Assembly, we will be able to modify that so that our customary laws will be very modern. You talked about making Igede language becoming a curriculum in Benue and outside. Has there being a law to that effect? Yes, the making of the three languages as a major language that can be studied up to PhD level was passed during the Seventh Assembly and finally as member of the House Committee on Education I was opportune to employ some people from my constituency in TSB and SUBEB, as chairman House Committee on Health and Human Services I was also privileged to have so many constituents employed in the Ministry of Health. Before now the media has kept track of your efforts in trying to stem the tide of child trafficking in Igede land and particularly the effort you made at some point, how far has that been; can we now say that the social problem is now history? 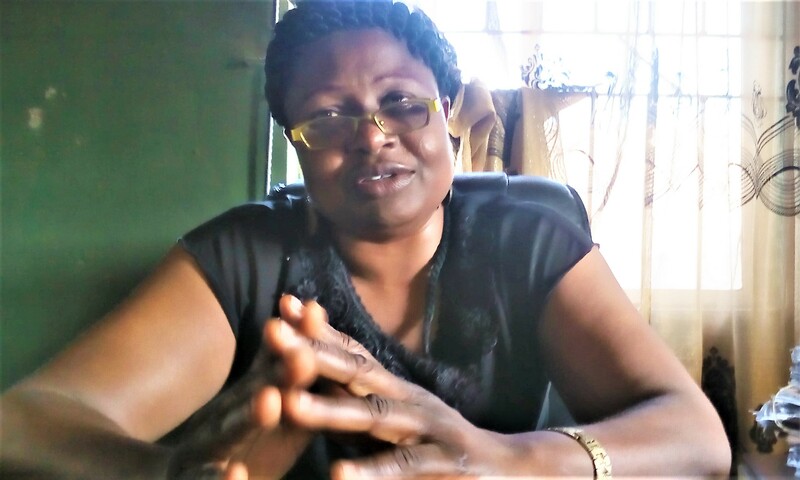 The issue of child trafficking is not peculiar to Igede. It is a worldwide problem. It’s a menace. But it is more worrisome in Igede now because of the mafia system operated with regards to child trafficking. When I went into that deal I travelled to spain. We were able to release 16 Igede children who were sent there. The parents of some from Oju/Obi and Igedes in Cross River sold the children between one-fifty to five hundred thousand naira to Yorubas who in turn sell them abroad as child slaves. Some died, some are still hidden somewhere there but the few we were able to track with the help of Omi Ny’ Igede chiefs in Lagos, we were able to use NAPTIP and get them back. You know when you are fighting corruption it fights you back. The syndicates of operating in this regard fought back and do you know that so many of the children we brought back have re-disappeared to the places they were taken to and when you look very critically you will find out that our brothers and sisters and fathers in Igede land have a very big role to play and the transporter as middle men are most times arrested on the way. It’s so unfortunate that the fight against child trafficking in Igede land is going to be difficult when the political will is not there on the part of government, even on our own part the fathers of these children. How do you access the performance of Governor Samuel Ortom these few years. Do you think he deserves a second term? We are all human beings; we may not be too comfortable with his performance during the first tenure. We know that it is the person who wears his shoe that knows where it pinches him. 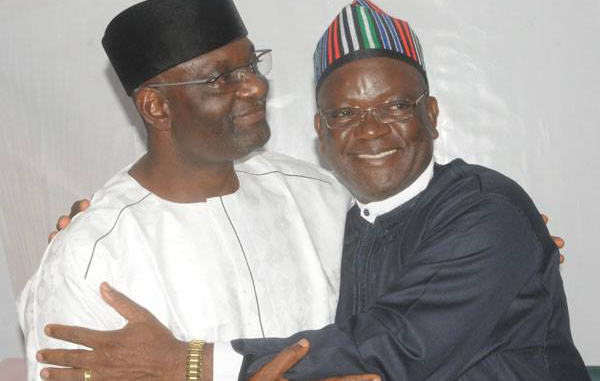 Everyone knows the circumstances surrounding Governor Ortom’s emergence as Governor of Benue state. He was in a party that he was not even accepted as the leader of the party and it is very painful when you are leading and you are not the one holding the steering. If you are driving a vehicle you must be in charge of the steering. 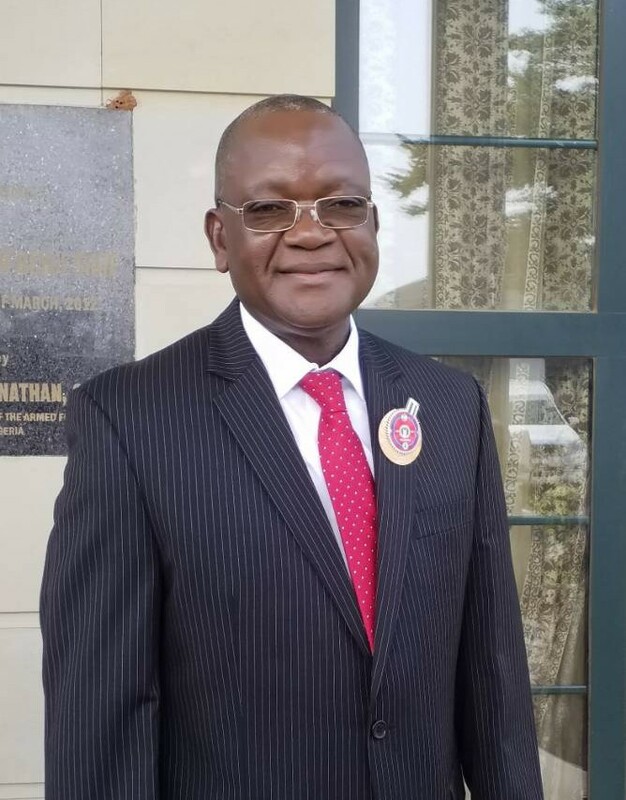 Governor Ortom during his first tenure up to about six months ago he wasn’t in charge of the steering driving the vehicle and that’s the reason why we cannot hold him hundred per cent responsible from the lapses we are seeing. Secondly, the herdsmen challenge became a very big problem. Why I respect that man is because we had governors before him, we had senators who are here when people are being killed but because of the national interest, the federal interest, the Hausa-Fulani interest all of them subdued their feelings and started whipping unnecessary sentiments at the detriments of the lives of Benue people. Governor Ortom decided to sacrifice his mandate, threatening his life, threating his position by rising face to face with the power that be and defended the Benue people by enacting the anti-grazing law and defending it anywhere he went to, very bravely. In fact, that action endeared that man to us. So, wherever he may have lapses in terms of infrastructure development and salary arrears and the rest, that action alone that he is ready to sacrifice his comfort and position for the Benue people makes me as an individual to give him the benefit of doubt for a second term. What makes you think Atiku Abubakar will make a better President? Two of you interviewing me are youths with vibrant stable brains. The Buhari we knew in 1985, when he became head of states in Nigeria was a very vibrant military officer who rode beautifully, who hated corruption. Today that Buhari either by illness or by whatever I wouldn’t understand is not the Buhari that we are seeing today. He is no longer in charge, it’s the cabal that’s working with him that’s in charge. Till today I still see him as a corrupt free person but even if he is corrupt free the problem I have with Buhari today is that he is no longer in charge. He doesn’t have the mental capacity to rule this great nation of over two hundred and fifty million Nigerians and that is why I fear. Atiku is a very vibrant man who still have fresh blood flowing in his veins and I believe very strongly that with his experience as Vice President of Nigeria for eight years and his vast experience in economy ruling the business community from North to South, internationally with his connections all over the world, I believe very strongly that we need somebody like Atiku Abubakar to run Nigeria. At this level, we don’t want to believ in somebodys past glory, we believe very strongly in the present and that is why I think Atiku is a better material for the presidency. We are all humans and John 3:27 says “you cannot get anything except God gives you from above’’. So it is God that appoints leaders, we will do our bid as human beings to ensure that Atiku/Obi team picks the presidential ticket. As PDP we will also ensure that Ortom/ Abounu picks the governorship ticket; we will aslo ensure that the senatorial candidate of PDP in Zone C, Comrade Aba Moro picks the ticket, Bright Hon. Oku picks the ticket for House of Reps. And Andy Olima picks the ticket for House of Assembly. As human beings I think these are credible candidates who went through very beautiful primaries without any conflict. What do you have to say in the midst of complaints by some parties especially PDP that the way INEC is structured there is fear that INEC will not deliver credible conduct of election in 2019; do you share in that fear? You know I was privileged to conduct election as opposition in fact out of the nine local governments in Zone C and the eleven constituencies in Zone C. I was the only person who won from the opposition party. When I was taken to the tribunal the battle was tough. I have the confidence in INEC. INEC defended that election even at the level of tribunal very beautifully. In 2015, I won election again in opposition capacity and everybody believed that it will be up turned but INEC defended it. Electoral bodies seems to be part of government so they usually defend the party of the day and that’s why people call INEC and Security Officers as other members of the ruling party but I don’t think it is hundred percent so, if they know that the electorate is voting for you very well and you are winning very comfortably they hardly can upturn your result, it is when they know that the margin is very narrow like in Ekiti, Osun that they can do a lot of fraud to please the ruling party. What is your final word to your people now that you have a bigger assignment? 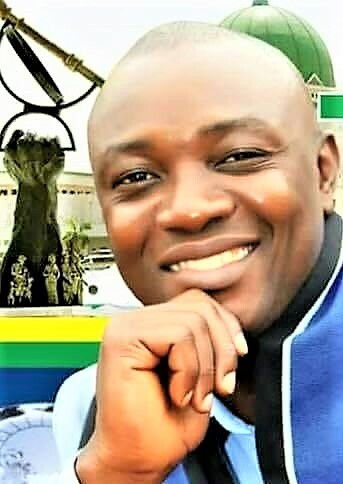 Like I told you, I headed into politics in 1996 when I contested chairmanship of Oju with my elder brother, same father and mother and from there I have been contesting elections: House of Assembly in 2011 which I won, House of Assembly 2015 which I am still serving today. I told you this is a very big assignment, big in the sense that I am now operating outside the familiar terrain and I have to now expand my tentacles. I want to appeal to my people, my supporters, my fans to pray for God’s grace in my life because it’s very tasking and so that my life will be secured and also to give me the good will so that when I talk to people they will listen to me and help me deliver my candidate in the election so that my political profile will rise and I believe very strongly that if Atiku Abubakar and Governor Ortom win by the special grace of God Igede people will be carried along in the scheme of things. So I want to appeal to Igede people in Obi and Oju and elsewhere because I know there are lots of Igede people in Konshisha, Gwer LGA, Yala LGA of Cross River. I am appealing to all of them, politics is all about interest and the interest here now is that their son is at an helm of affairs fighting for Atiku Abubakar, they should join to deliver Atiku Abubakar so that dividends of democracy will reach them.